While $600 might seem like a lot for a netbook, the HP Pavilion dv2-1110us provides so much more and bridges the gap between a netbook and a full laptop. Performance is better, particularly in the graphics that can run full HD video. The included DVD burner also gives it DVD playback and make it easier to load software. While this make it great for someone wanting a small but capable platform, it does have the drawbacks of lower battery life and being thicker and heavier than most of the systems it is compared against. Overall, the dv2 makes an interesting middle-of-the-road play, the nuances of which clearly require some explanation. It’s a great system for someone who just wants something that works, and doesn’t want to try to figure out why the netbook they just bought can’t play fullscreen video or can’t run iTunes. It’s more expensive than almost all netbooks and many notebooks, but for a reasonably powered ultraportable the dv2 is a good deal. In case you thought that HP's new Pavilion dv2 was just another in the growing forest of portable PCs, HP has specifically labelled it an Entertainment Notebook so that it will appeal to youngsters on the move rather than the business market. If you want more features than a basic netbook can supply but don't want the larger and more expensive laptops, then this 12-inch entertainment notebook is reasonably priced with an impressive new Neo processor and HDMI capability. It's a shame it has an external DVD player, though, and it becomes uncomfortably hot quickly. There’s a promising compact laptop at heart here, with better than netbook performance, a slightly bigger and higher resolution screen, and great keyboard. Sadly it’s let down by very poor battery life, in a laptop that ought to run cooler and longer than it does with the AMD Neo CPU and ATI HD 3410 GPU chips currently installed. We await with interest how succeeding applications of AMD’s Neo processor platform will fare. The first Asus Eee PC was only released a little over 18 months ago, but given the sheer number of Small, Cheap(ish) Computers on the market you could be forgiven for thinking it had been around for much longer. For its £599 price tag, the dv2 offers a decent compromise between performance and affordability. It's also much more stylish than many machines at this price. It doesn't have the raw performance of a fully-fledged laptop, but it packs more punch than most netbooks and comes with a larger screen and keyboard to boot, although its battery life is lacking. HP has delivered a compact and stylish laptop that promises a lot, but ultimately fails to deliver. Ultimately, the Pavilion dv2-1010ea falls slightly short of HP's promises. While you will be able to carry out office-based activities at home or on the move, as well as watch DVDs and perform light photo-editing tasks, it simply isn't powerful enough for more intensive multimedia use. In the end, similar performance and greater portability can be found elsewhere for less money. If ever there was a tale of two halves, then the HP Pavilion dv2-1030ea notebook is exactly that. The design, build quality, feature set and application performance are all top notch. Admittedly, there are a few minor complaints with the keyboard, trackpad and artwork that could easily be written off as personal preference, but then we got onto using the dv2 as a portable workhorse and that was when the wheels came off. Potential buyers should keep in mind that the dv2 can take the place of a full notebook and is not restricted to acting as a secondary mobile device, like a netbook generally is. The fact that it can play Blu-ray video might not be handy for everyone, but it gives some insight into how versatile the system is and what you are getting compared to a lower-end system. Ultimately, the dv2 is better during use than it is on paper, so it’s worth checking out. Even so it won’t be able to avoid comparisons to netbooks and the value won’t be there for everyone. Currently the biggest direct competitor for the dv2 is Samsung’s NC20 though which features another non-Intel processor, VIA’s Nano, and sells for about $550. Lastly, while we could find no fault with the overall design and build of the dv2, we're still slightly irritated with the glossy surfaces that do nothing but turn the pretty looking machine into a smudge magnet. Otherwise, you'll find yourself in love with its pretty design, good looks and solid build. Price wise, the dv2 will set you back at a price of S$1299. Definitely expensive compared to an Intel Atom based mini-notebook and considering that more powerful regular but bulkier machines are available for the same price range. It is however definitely much more affordable than what you would expect from a 'similar sized' Intel ULV based machine, and is really the key point for you to consider if you're thinking of getting this notebook. 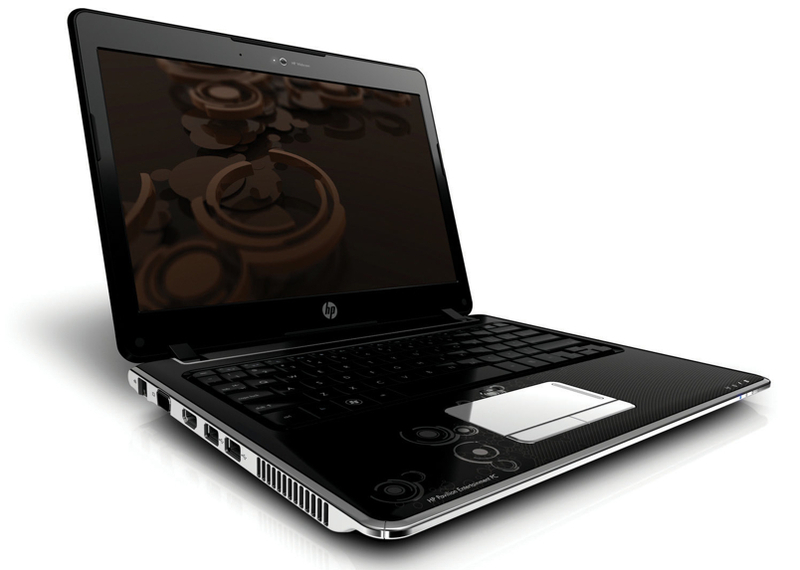 When we first saw the 12-inch HP Pavilion dv2 at CES 2009, we were forced to stifle yawns at what appeared to be another glossy HP laptop with an AMD processor. But, when we learned this is the first system to use AMD's new Athlon Neo platform, our ears perked up. 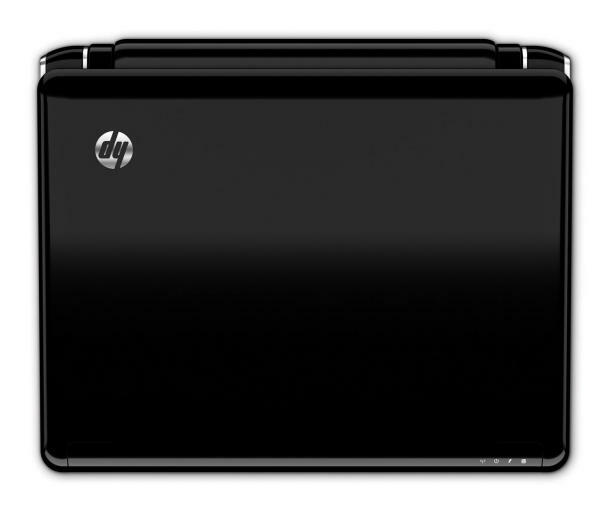 The HP Pavilion dv2 is a great-looking machine that aims to sit between netbooks and more expensive ultra-portables. With a Neo CPU, it's capable of outperforming most Atom- and Nano-based netbooks, but, for the price, you can also get a mainstream dual-core laptop that outperforms the dv2. Unfortunately, HP continues to load its laptops with software that you'll want to uninstall the second you get home (games, demos, and the like). The one standout among the pre-installed apps is the handy HP Advisor bar, which camps atop your desktop. While it is borderline obtrusive, it provides a handy shortcut for online searches--and the PC Health & Security button is an excellent one-stop window for obtaining a full status report on your PC. If ultraportability is your bag, but you don't want to drop a fortune and you don't want to sacrifice too much performance, the recession-busting HP Pavilion dv2 is a fairly good bet. Just don't mistake it for a full-fledged, full-performance machine either. 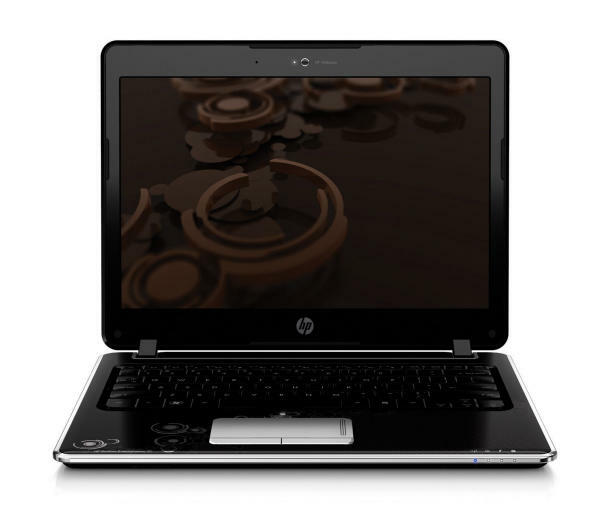 The HP Pavilion dv2 is thin and light enough that it can replace a netbook, and it has enough performance to replace a full-size notebook. The only people who might need more performance are extreme gamers and people who need extreme processor speed and multiple cores for multitasking work like encoding two or more video formats simultaneously. If you want to connect your laptop to your HDTV and watch 1080p video, the dv2 can handle it. If you want to edit high-resolution images in Photoshop while you're on vacation, the dv2 can handle it. If you want to play new video games and don't need extreme detail and frame rates, the dv2 can handle that too. When we first saw the 12-inch HP Pavilion dv2 at CES 2009, we noted that, "at first glance, another glossy HP laptop with an AMD processor may induce yawns, but when we learned this was the first system to use AMD's new Netbook-like Athlon Neo platform, our ears perked up." 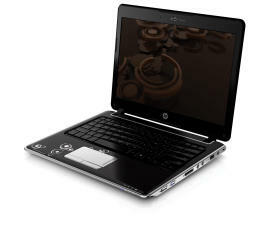 HP's slick-looking 12-inch Pavilion dv2 carves out a niche between entry-level Netbooks and expensive ultraportables. In terms of design and performance, the HP Pavilion dv2-1030us represents a step up from most netbooks. Also, the LED display is sharp and the notebook handles high-definition content well both on the screen itself and when output via HDMI. You can even play some 3D games at a decent clip. However, while we can live with the somewhat cramped keyboard and above-average heat, the dv2’s short battery life will be a deal breaker for many potential buyers. Although it’s not nearly as stylish as the dv2 and its graphics performance isn’t as strong, some may prefer the Samsung NC20. That lighter 12.1-inch notebook lasts about 5 hours on a charge, offers a more comfortable keyboard, and costs only $549. Nevertheless, the dv2 is a well-performing ultraportable at a relatively affordable price of $749. The HP Pavilion dv2 is the first laptop to use AMD's Athlon Neo processor, delivering reasonable power, in a tiny notebook frame, for a moderate price. If ultraportability is your bag, but you don't want to drop a fortune and you don't want to sacrifice performance, the HP Pavilion dv2 may be a good bet. We can't pass final judgment until our performance benchmarks are complete, but we like what we're seeing. 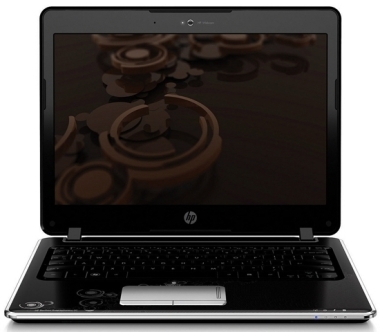 The HP Pavilion dv2 (1030-us) is as close to a netbook as you'll see with an AMD processor. Though it was made clear that the semiconductor company had no interest in competing in the netbook category, this 12-inch beauty says otherwise. The dv2, which bears a strong resemblance to the Dell Inspiron Mini 12, is the first laptop to use AMD's new Athlon Neo processor, and at $749 (direct), it costs about $100 more than the HP Mini 2140 netbook. I think HP and AMD have the right idea here, as there aren't enough 12-inch form factors that are able to hit this price. The only catch is that you'll have to put up with fan noises and occasional heat from its underside. The HP Pavilion dv2 (1030-us) is a more powerful and louder version of the Dell Inspiron Mini 12, and it's aimed at the frugal shopper. Depending on how you look at it, the HP dv2 is either an affordable but underachieving ultraportable notebook, or an overpriced netbook on steroids. Its 12.1-inch screen and discrete graphics will appeal to netbook users who don’t mind paying more for the extra features, but its woefully short battery life and subpar performance make it hard to recommend as a serious travel notebook, especially if you require a modicum of productivity power. Furthermore, it's just the first of this new niche class. Acer's Timeline promises much better battery life and equally impressive graphics, and Dell's Adamo is all about style. (We'll have to see about the substance.) So keep your wallet in your pants for now. We'll post reviews of the dv2's closest competitors as soon as we get our hands on them. AMD's Yukon Platform and the HP Pavilion dv2 Unveiled! No doubt that HP Pavilion dv2 is quite a beauty despite being a fingerprint magnet, and its slim build only furthers its appeal. Given the AMD Yukon platform specifications and the chipset's integrated Radeon X1250 graphics engine, we're more than certain that it's more powerful than the Intel Atom platform and thus all the mini-notebooks out in the market. However we're not quite yet convinced of AMD's proposition of an affordable ultra-thin notebook. ATI Mobility Radeon HD 3410: Entry level dedicated GPU from AMD which supports only PCI-E 1.1 (3430 and upwards support PCI-E 2.0). Technically a slower clocked HD 3430/3450. Only some 3D games with very low demands are playable with these cards. » Further information can be found in our Comparison of Mobile Graphics Cards and the corresponding Benchmark List. MV-40: Slow single core processor for small and thin laptops. A bit faster than Atom based systems but the power consumption is also higher.» Further information can be found in our Comparison of Mobile Processsors. 71.79%: This rating is bad. Most notebooks are better rated. This is not a recommendation for purchase.